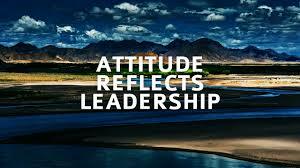 Attitude– clear focused vision of where you are and where you are going. Attitude, Purposeful discernment of right use of your energy and true power. Attitude reveals your values. When you are clear on what you value, your business, career growth, health, and body, family, personal relationships, intimate relationships, community, and even, my favorite, your skill set, you are able to define the attitude you decide to have. 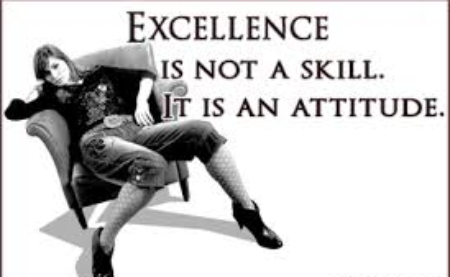 I can assure you, men and women that have a passion for success always have an Attitude of Excellence in everything they do; it is a state of mind. Through understanding how your Values impacts your Attitude, you can move your energy and true power forward, achieving results and success. Attitude comes from your Mindset. Mindset is the belief system you hold, it’s how you think. By paying attention to positive thoughts, you are setting your mindset and attitude in the right direction. Since your mind is one of the most powerful tools you have, you can create the most fulfilling, positive experiences, and do things you didn’t believe you could do. Your mind can set you up for success. You must build your Mindset to hold the Attitude You Want. You can create experiences using your mind, by how you think. When you choose positive beliefs and apply purposeful focus, your mind powerfully aims straight towards your goal. Of course, holding yourself this powerful takes an attitude of success to match. So if you have goals you want to achieve, either you are taking action and making them happen, or you are being lazy and taking an easy way out- finding excuses why they’re not happening, and buying into your own excuses. I am known for my Attitude in work and business. I hold a high value system that honors and respects my skill set, while having a high standard of excellence and a drive for success. I hold these values, not because I need to, but because it is who I am at My Core, where I am authentic, present, and fiercely connected to the Best Work I do. Quite honestly I love how my influence positively inspires, motivates, and drives my clients to their Best Work, increasing business and personal relationships, revenue, quality, and passion for their work and overall well-being, getting results. My Attitude spilling over into my clients; that for me is Success. I know every day I make a conscious choice with My Mindset to focus on My Values and My Attitude for MY Success. Be clear on what you value. What in your life has meaning to you and why? Look at what these people, places, businesses, communities, things or qualities of yourself bring and add to your life. Your Best is required in all experiences, interactions and communications within what you value. Define your Attitude. Incorporate Right Use of Energy; be focused and clear with intention and true power, knowing your own worth and values. What an awesome feeling to be so passionate and powerful in your Attitude for what Fills You Up! Clean Up and Tighten Up your Mindset. Your Mindset must be impeccable with what you believe, feel, and value…..psst…no one is going to do it for you. Take your time and practice, through exercise, meditation, and quality time with the ones you love. 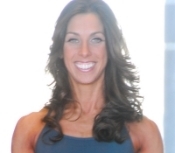 Focus on building a Positive Mindset that supports your desired results. Read books and listen to podcasts on Mindset. Be a believer in You, your passion, and your true power, and hold your Attitude high, meaning hold your Attitude to a high standard. Just as “you are what you eat,” you are also what you believe. Keep your mind fresh, clean, and focused on the Biggest Attitude you can have. Put your Attitude out there, Trust in Yourself. I get that not everyone is going to understand, value, or see your Attitude the way you do- it does not matter. The ones who do see and value your Attitude will also see your level of drive and desire to succeed. Your Attitude is your power and passion, and only you can choose to own it. Don’t be afraid to ask for the support, help, or reinforcement from a friend, partner, or mentor. Holding your Attitude High is very rewarding, and it can also be a bit challenging and rocky at times. Requesting backup gives you a flash of energy, reminding you of your Best, your greatness, and why you hold Your Attitude so High. Sometimes it is just what you need to blast you forward. Each and Every day live bold in Your Attitude. Starting your day with a clear vision and intention of who you are, what you value, and how you are succeeding, sets the ground work for your Attitude. When challenges, setbacks and interferences can and often do occur, you are ready. When in your Positive Attitude, Nothing can shake your peace of mind, disturb your focus. Attitude is the space in which, no matter what is happening in the world around you, you are Fierce within, choosing Your Attitude over the disruption. Be Driven to succeed. Love your Attitude and be true to your Power and Passion.